This smells so good! 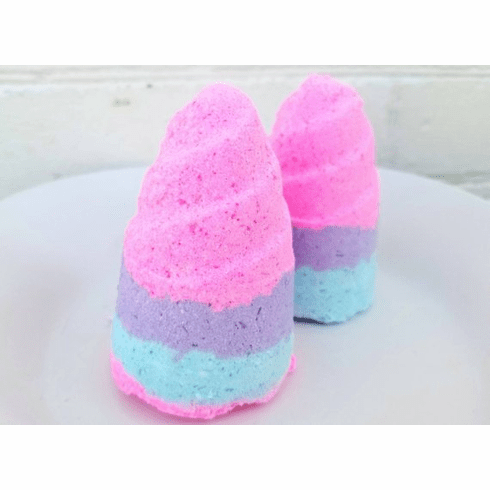 With citrus notes of lime and grapefruit, wild blackberry, and hints of champagne, this unicorn bath bomb will transform your bath experience. Weighs 5 oz. Comes indidvidually wrapped. Ingredient: baking soda, citric acid, cornstarch, Epson salt, cocoa butter, avocado oil, cosmetic glitter, polysorbate 80, fragrance, colorants. Will not bubble, only fizz. Tub may be slippery after use.